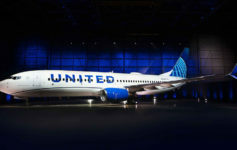 Last week I wrote about United Airlines resuming service between Chicago and San Jose, CA. I flew the route once, in August 2007, and was served a meal in first class I will never forget. In honor of the recommencement of this service, I will highlight that lunch in this week’s Meal of the Week. I do try to limit my carbs, though it is not always easy. Admittedly, I am a sucker for bread and potato chips. I will also rarely turn down pizza. But sometimes too much of a good thing becomes a bad thing. This meal qualifies. The choice was cheese pizza or a Cobb salad. I’d had United’s Cobb salad before and found the iceberg lettuce and ranch dressing unsatisfying. Plus, I had never had pizza on a plane before. So I ordered pizza. Oh my. What came out was carbs with carbs and a side of carbs. Yes, look at the French bread pizza served with a garlic focacia roll and chocolate brownie. Now admittedly, the pizza looked great. Sadly, it was lukewarm and chewy. The bread was not crisp or even warm but the cheese was so hot I burned the roof of my mouth. The good news: I skipped the bread and brownie. I wished I had just skipped the whole meal. Sadly, the meals most of us eat are in economy, where the ratio is usually 1 protein to 3 carbs or more. Even the diabetic meal is not low carb, it is just a ‘known’ number of carbs, so you can accurately shoot insulin to cover it, not an acceptable option for us Type 2 non-insulin low carb types. It is not just airlines, but a truly low carb meal option which does not rely on rice and bread and potatoes for the majority of the bulk of the meal would be a welcome advancement in this age of the war on obesity, which is mostly conducted by encouraging us to eat more of what causes it. Maybe you could do an infographic rating airline meals by carb count? That would be a service to humanity. Wait – is that first meal picture at the bottom tandoori chicken and paneer tikka???? Just wait until Friday when my Polaris-lite review comes out. I must concur that UA has really stepped up their game in the food department!